The Best Blouse Designs we Spotted at Couture Week 2016! The Couture Week came and went, and we are still catching up on all the trends we spotted. Among them were fresh new blouses , which were such a welcome relief from the same old stuff you see everywhere . 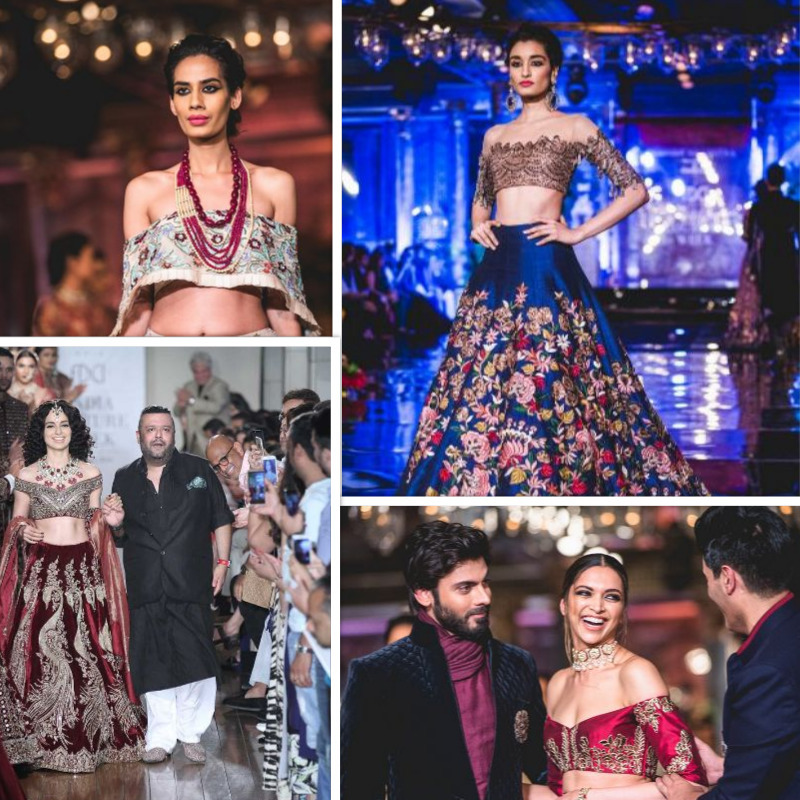 Here we've handpicked some of the best blouse designs from the Couture Week 2016, so take some inspiration guys! Off Shoulder is all the rage! 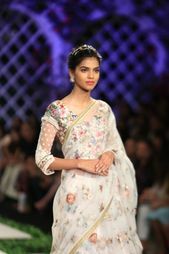 Whether it was Manish Malhotra's off shoulder Bardot style blouse with a plunging neckline like we spotted on Deepika, Tahiliani's loose blouse with frill edging or Manav Gangwani's off shoulder mirror work blouse like the one seen on Kangana, off shoulder seemed to be big this Couture Week with a lot of designers giving it a go! 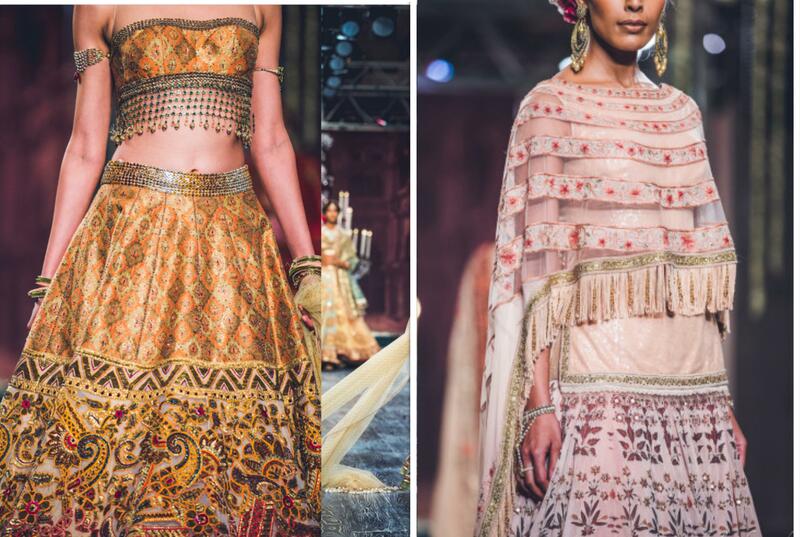 How gorgeous do these Tarun Tahiliani creations look? A refreshingly new perfect sleeve length with detailed, scalloped edges in velvet look gorgeous ! 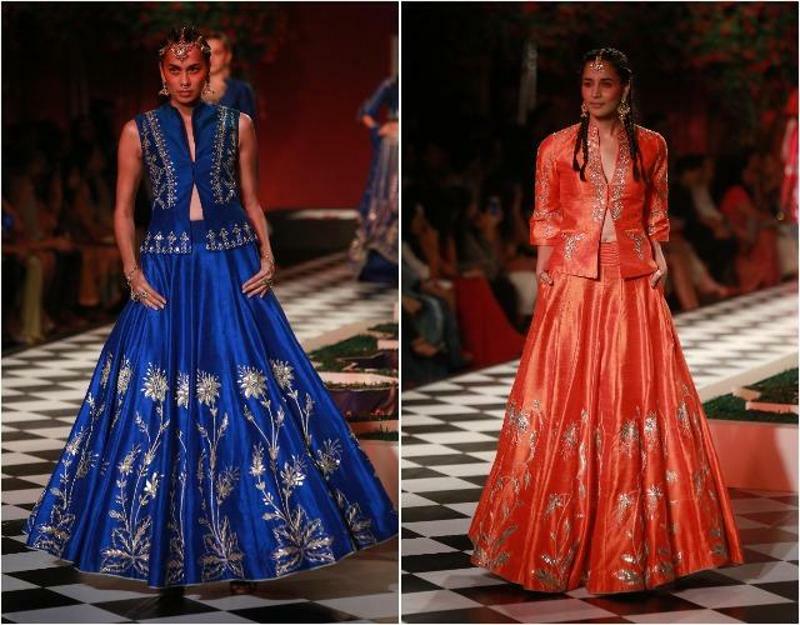 While cape tops and jackets have been all the rage in Western wear, designer Varun Bahl translated that for Indian wear as well. 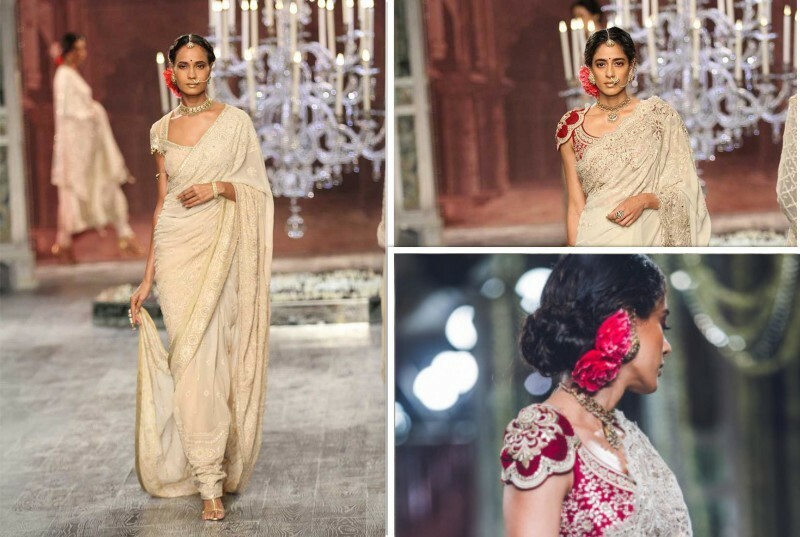 A cape blouse over a lehenga or sharara is the next big thing! Just make sure not to clutter the look too much with a dupatta as well! 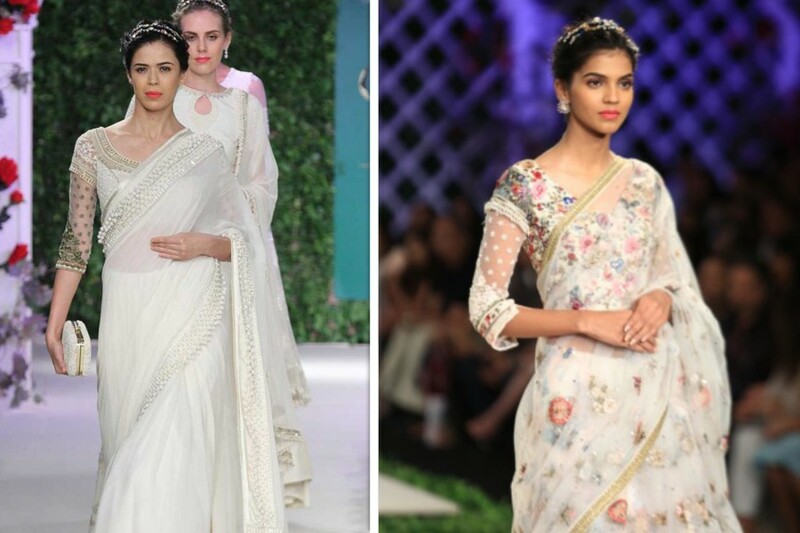 Blouses that look like short fitted jackets were also spotted in Anita Dongre's collection, which are perfect for brides who don't want to show too much skin! Another interesting trend we spotted- sheer sleeves that were ribbed and provided texture. If you are someone with problematic arms and feel like sheer sleeves dont suit you this is the perfect workaround for you . Doesn't this sleeve-within-a-sleeve lend this delicacy to the outfit? 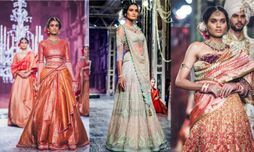 Spotted in Varun Bahl's collection, these look gorg for saris! After being seen literally everywhere, fringes have now made their way to traditional Indian garments as well! 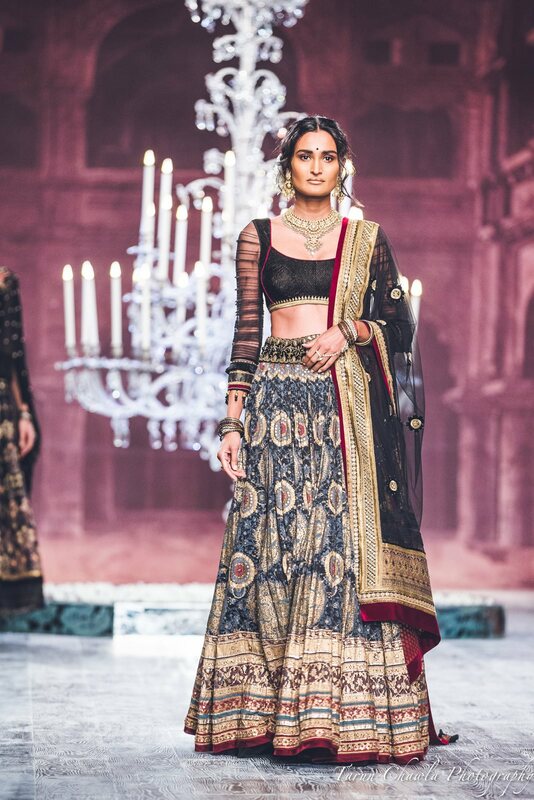 Anita Dongre and Tarun Tahiliani made sure fringes were highlighted in their clothing, with this Indo-Western fusion trend really standing out! 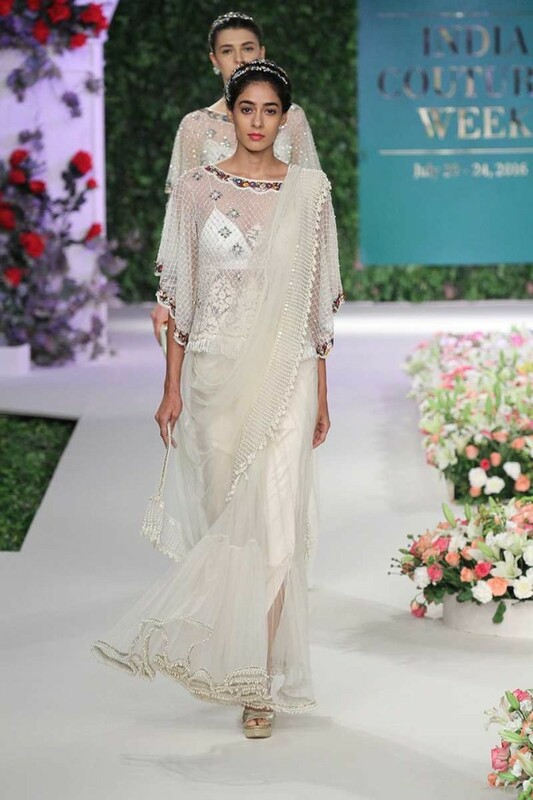 Sheer net blouses were also seen on the runway during Varun Bahl’s show. Floral motifs on net fabric made the blouses interesting yet delicate at the same time! 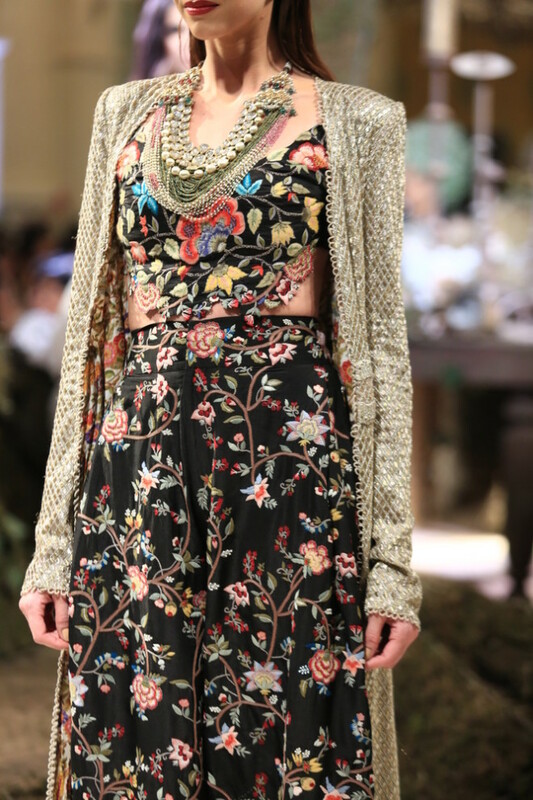 Designer Anamika Khanna is known for her interesting cuts and abstract embroideries, and that's exactly what we spotted this year! 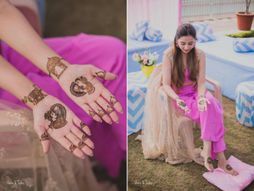 An interesting offbeat choice for a Mehendi or Sangeet! 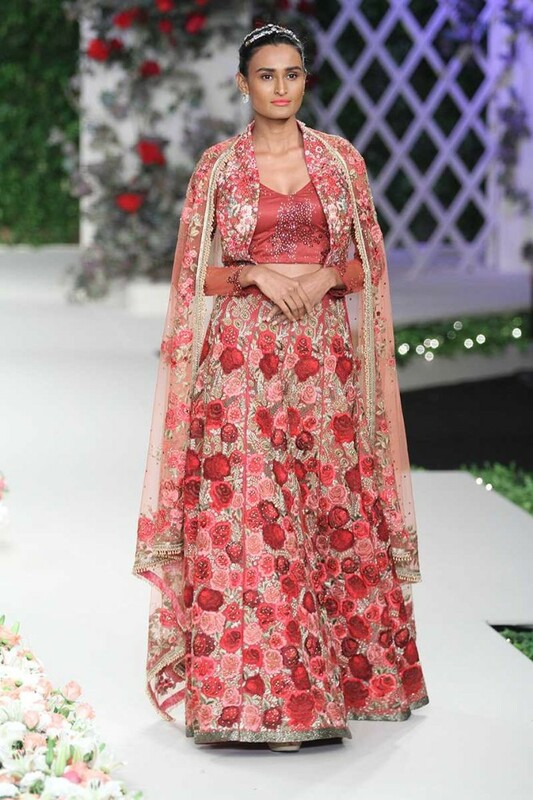 Varun Bahl at India Couture Week 2016: Flower Powerful! All That We Loved From Tarun Tahiliani's Opening Show At The Indian Couture Week Fall 2018! 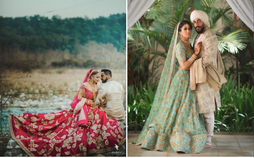 These Are The Most Unique Dupatta Drapes We Have Ever Seen On Brides!